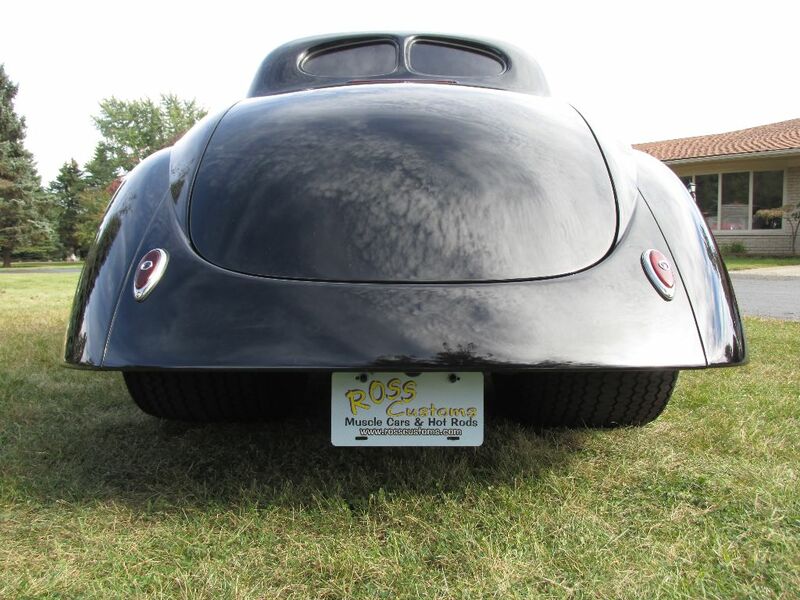 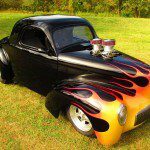 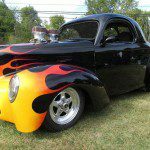 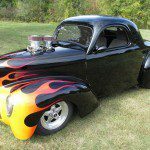 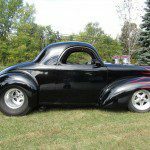 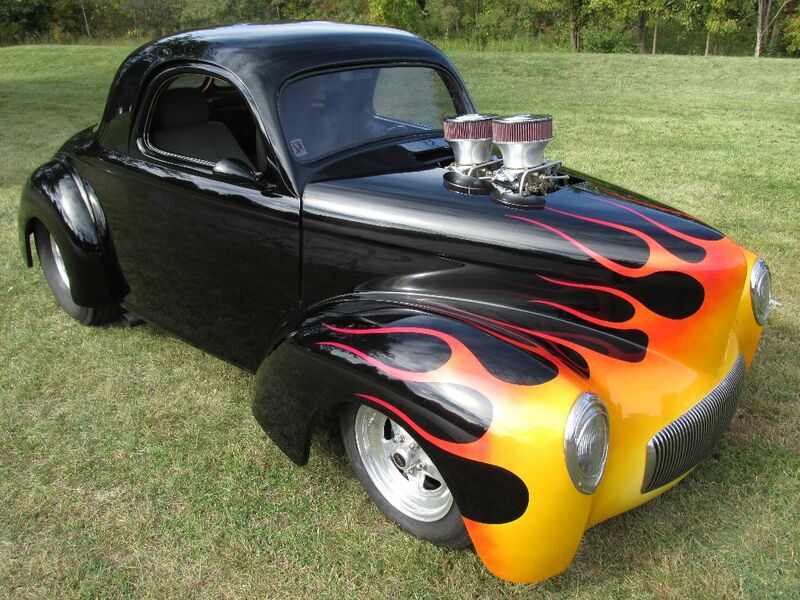 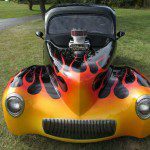 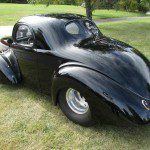 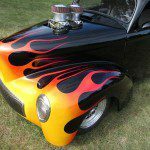 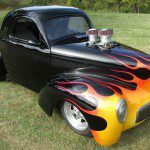 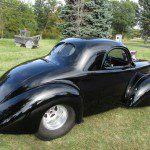 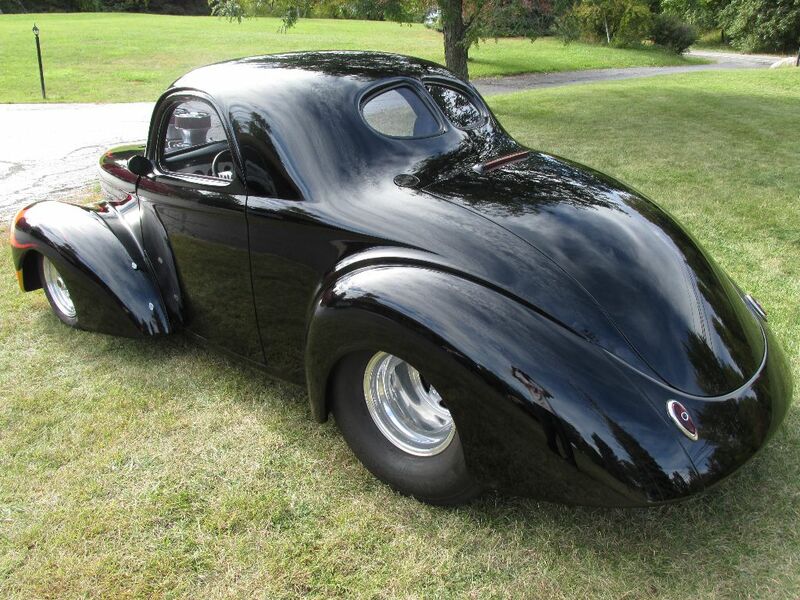 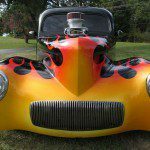 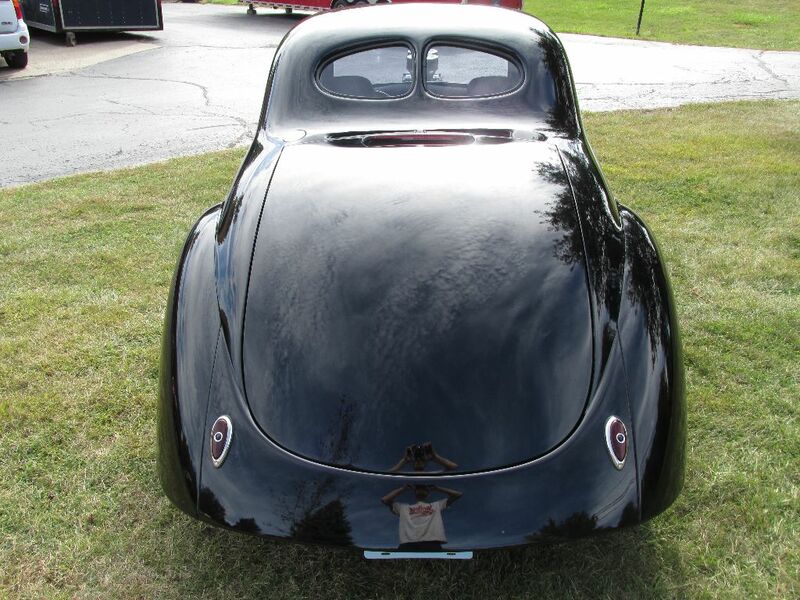 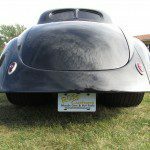 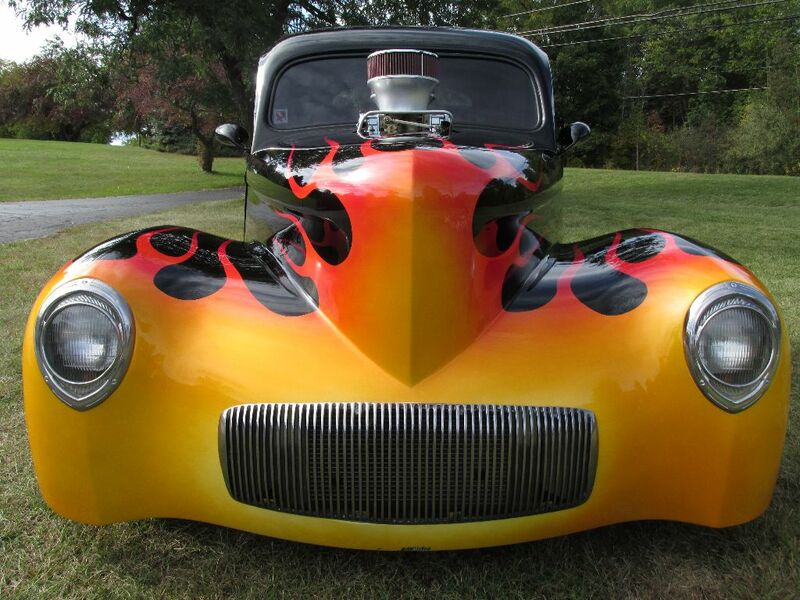 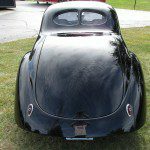 Fiberglass ’41 Willys, Outlaw Body with one piece tilt front end. 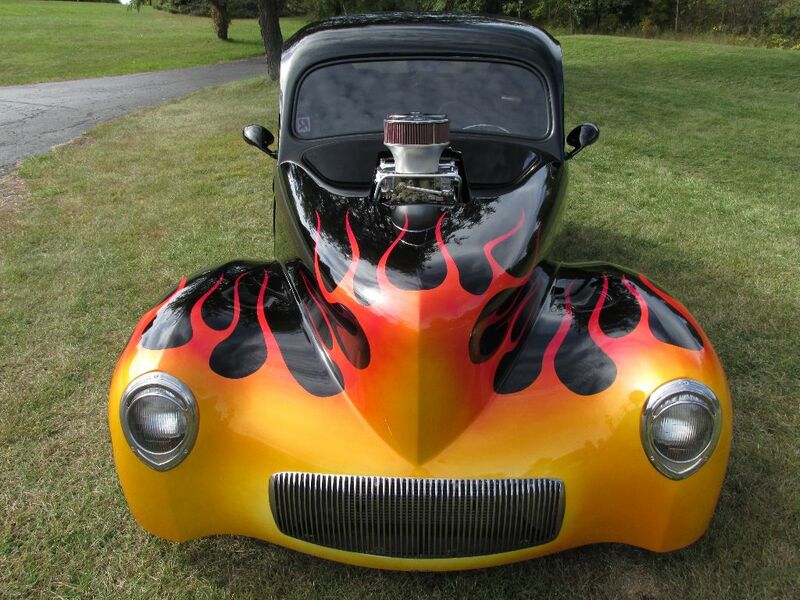 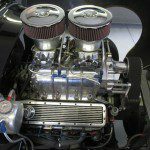 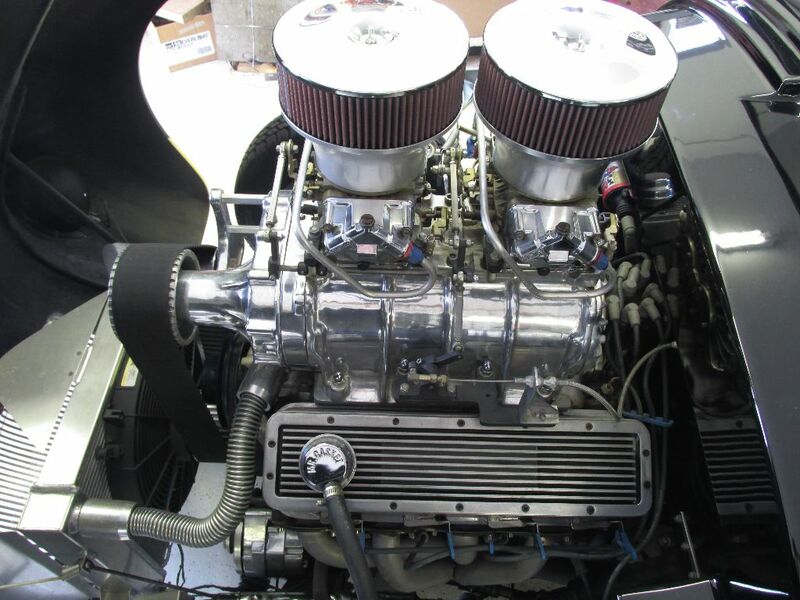 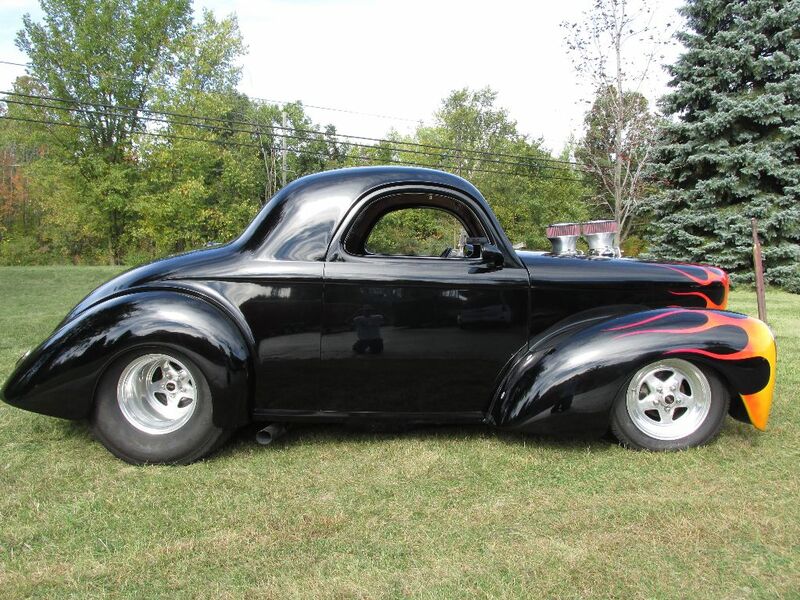 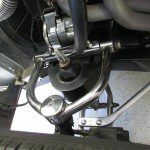 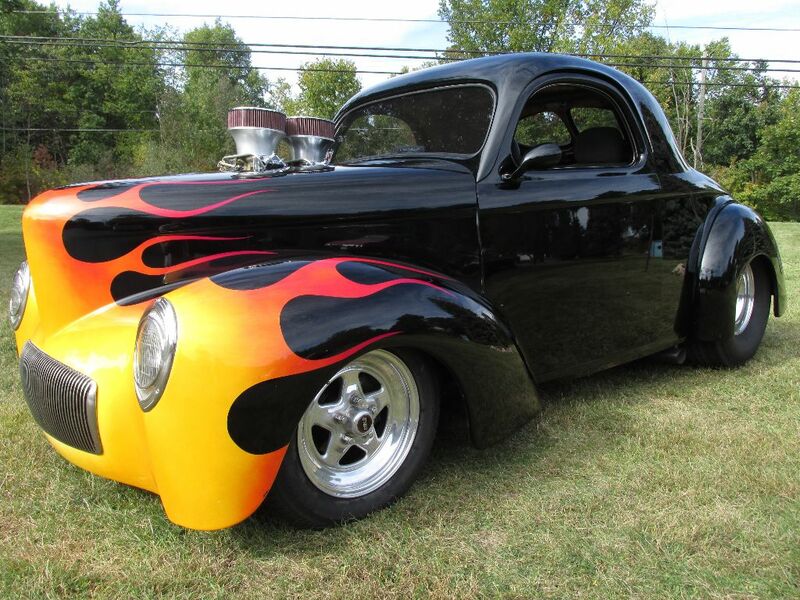 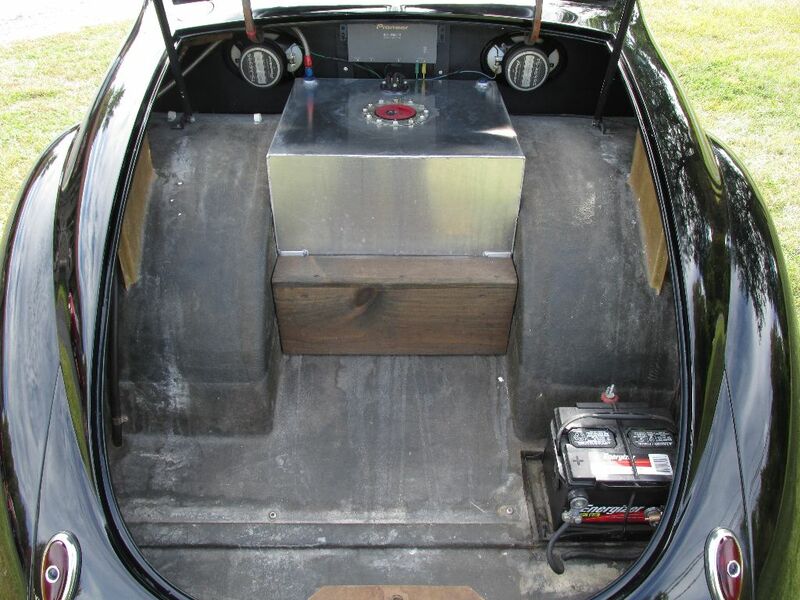 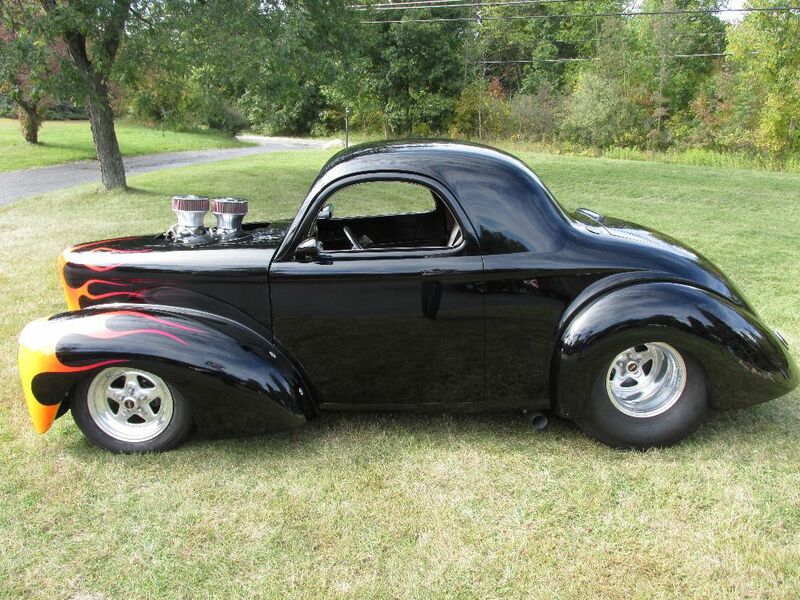 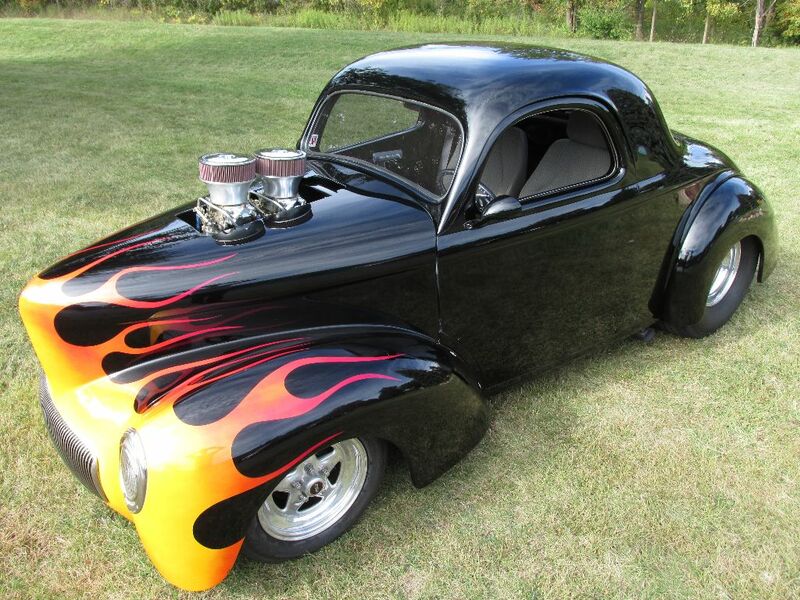 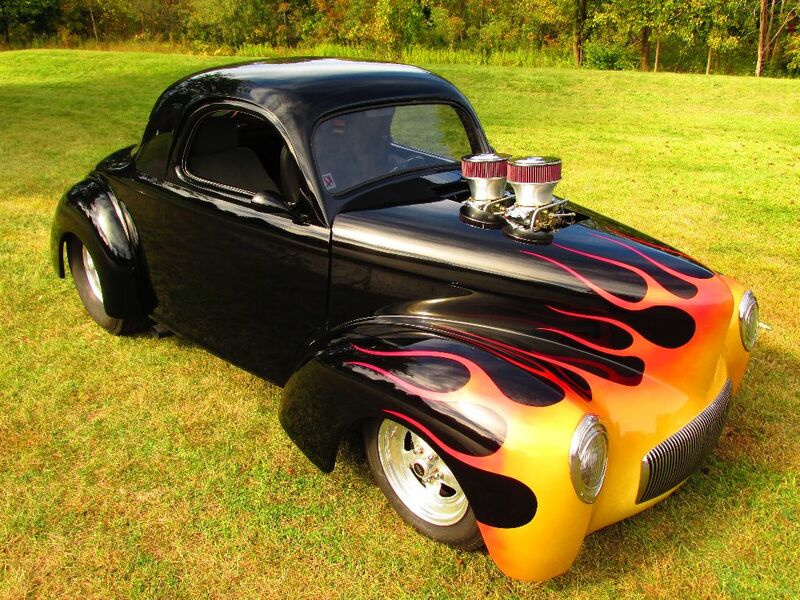 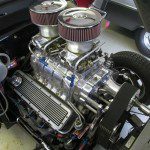 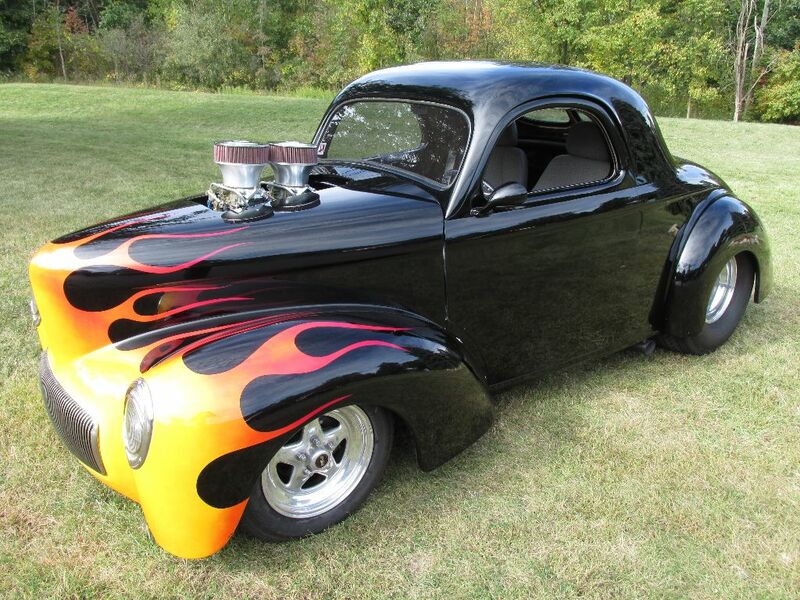 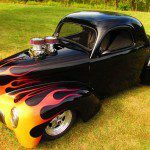 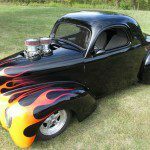 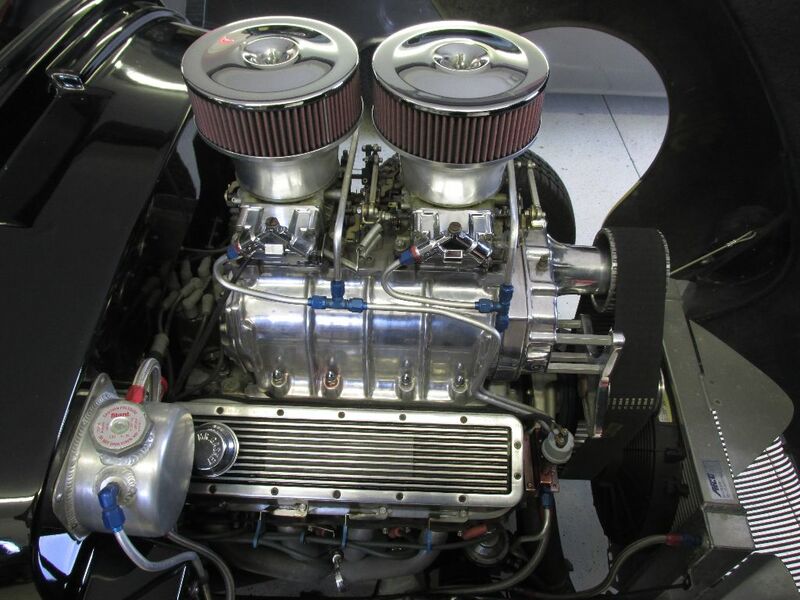 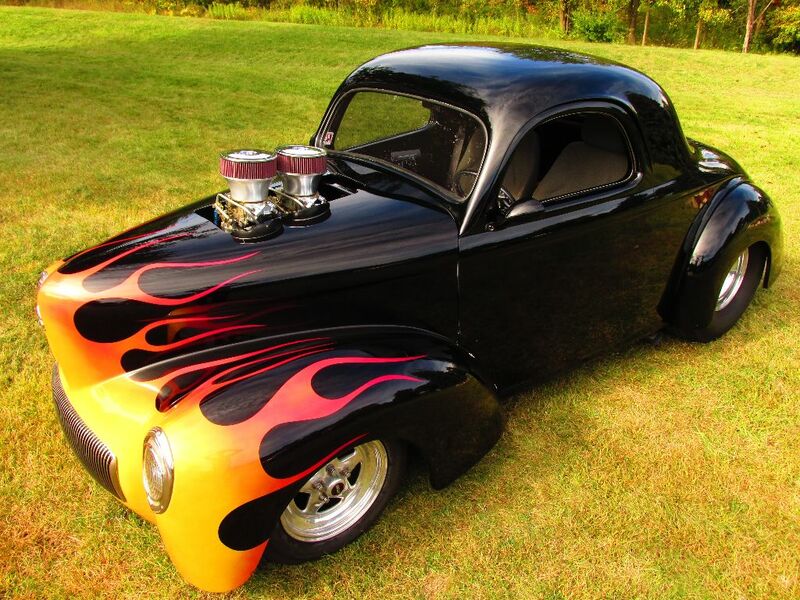 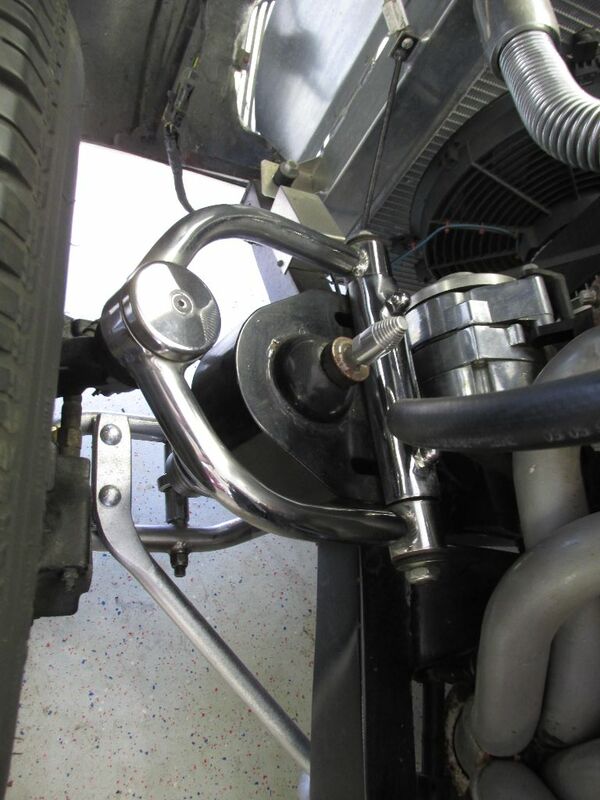 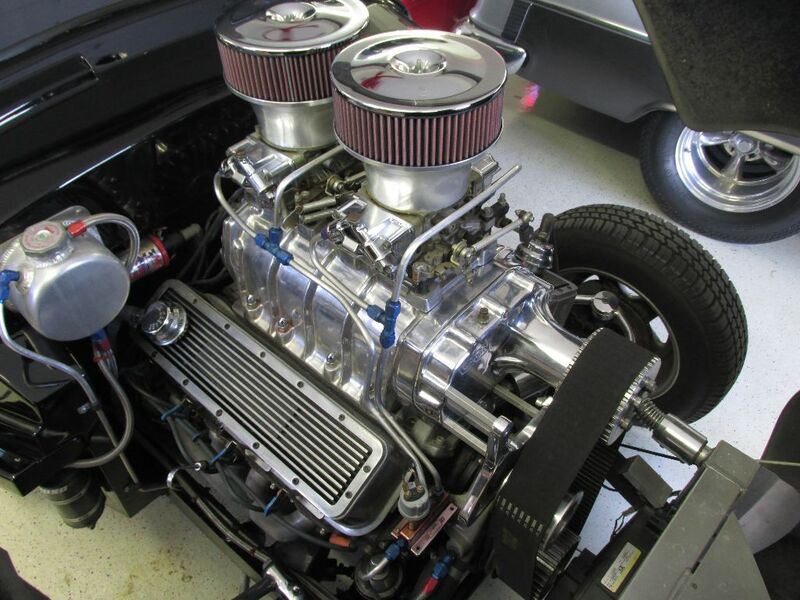 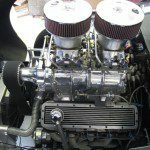 468ci motor with a Weiand 671 Blower, Dual Holley Carburetors, Headers and Dual Flowmaster Exhaust, Custom Aluminum Radiator with Electric Fans, B&M 400 turbo manual valve body trans, Ford 9 inch rear end with 4.11 gears, Front Disc Brakes with Rear Drums, Chrome Tubular Front Control Arms. 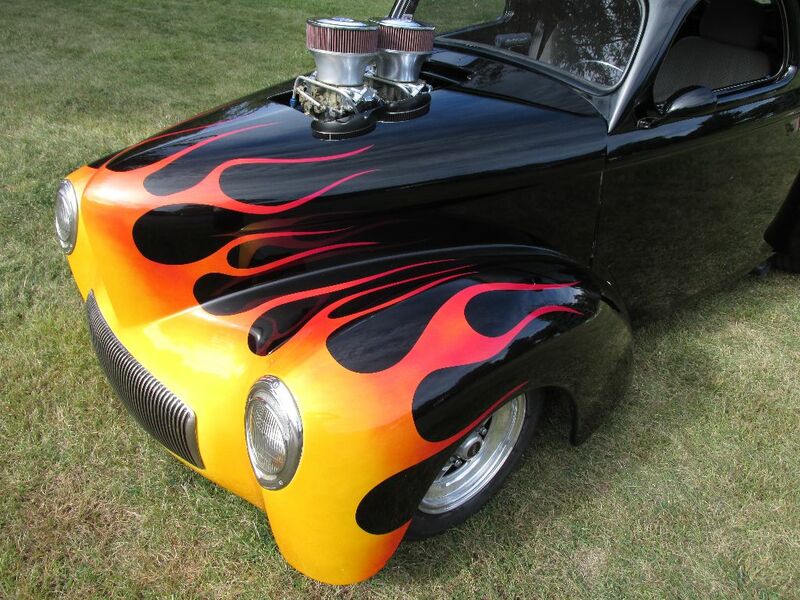 Absolute Gorgeous Black Exterior with Multicolored Flames on Front End. 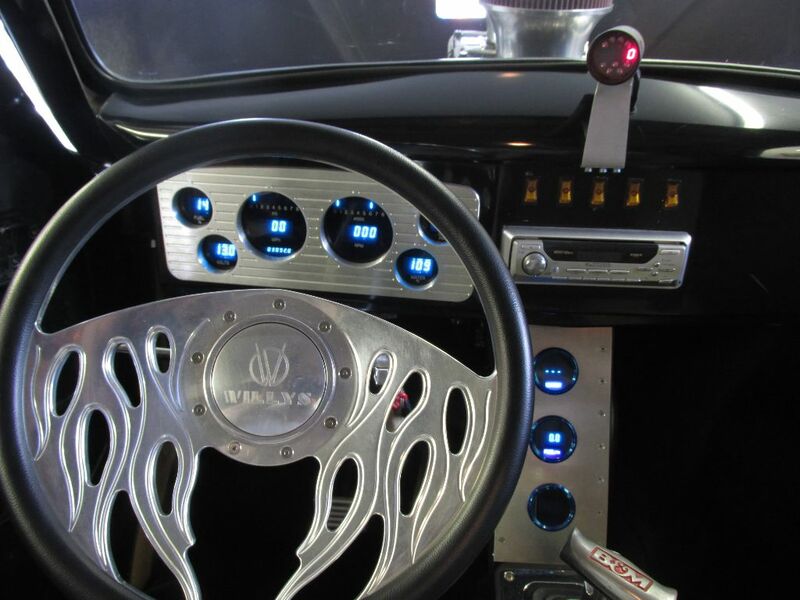 All Exterior Lights work, Blinkers, Headlights, Parking Lights and Brake/Running lights, Third Brake light mounted up high below rear windows. 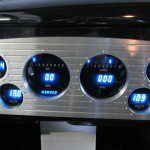 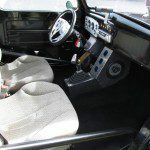 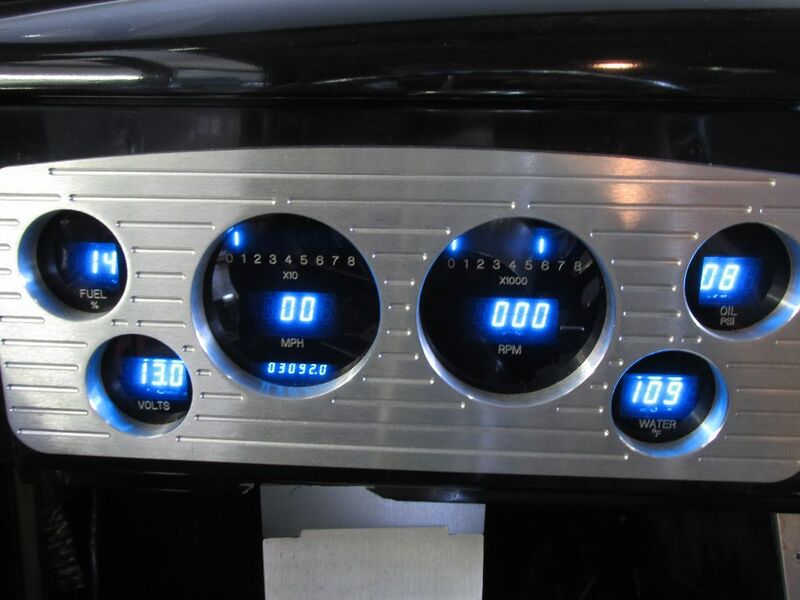 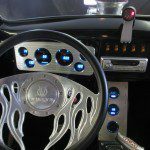 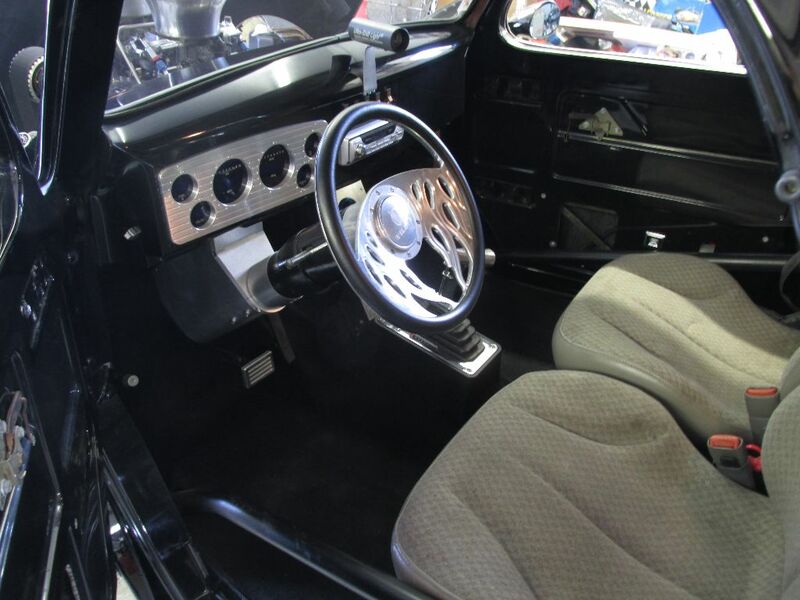 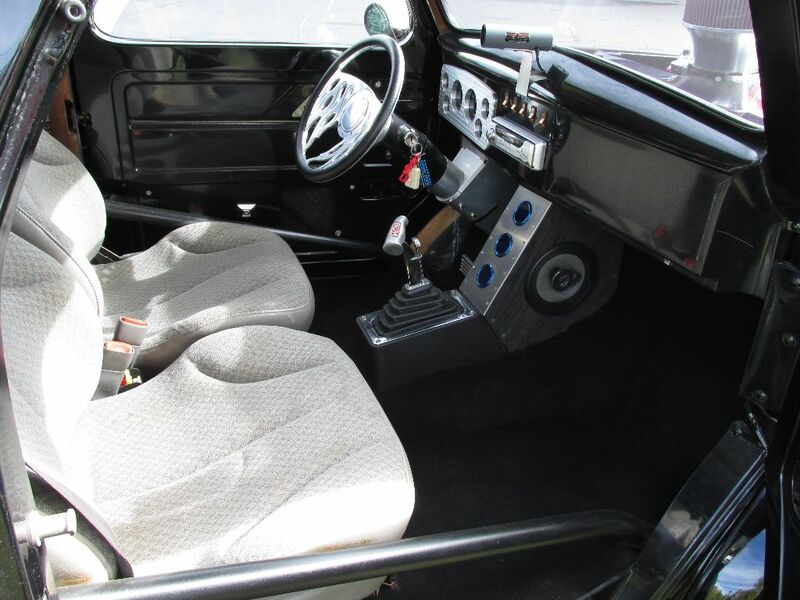 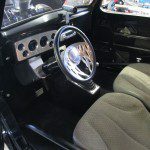 Interior Still needs some finishing, Has Custom Dakota Digital Gauges, Autometer Digital tach, Billet Tilt steering column with Billet “WILLYS” Flame wheel. 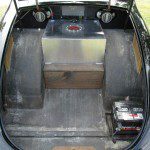 Power tinted windows, Power Trunk Release, Power Door Openers, Aftermarket AM/FM/CD Stereo with 6×9’s mounted behind seats. 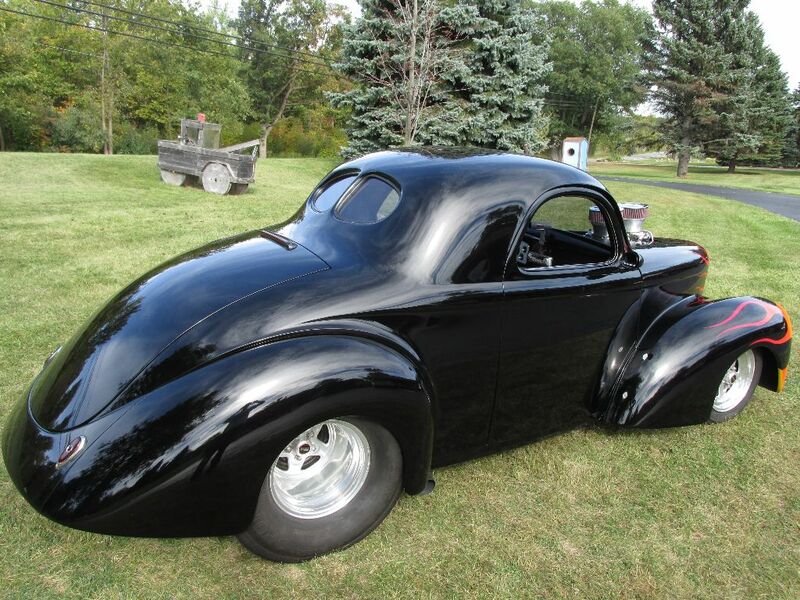 Tinted Windshield and Rear Windows. 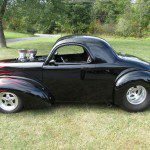 Nice 15 inch Weld Racing Wheels with 33×21.50×15 Mickey Thompson Sportmans in the rear.